Martin Sumichrast is a renowned merchant banker residing in Charlotte North Carolina. He is the chairman of Level Brands Inc. The firm invests its own funds along with managing several private investment funds to assist American businesses with their growth. Level Brands nvests in various industry sectors from bio-technology, social media technology, alternative lifestyle markets, to beauty and haircare. Martin Sumichrast as its Chairman of the Board is Level Beauty Group, a company in the beauty and hair industry co-founded and managed by seasoned business executives Brian Anderson and Kenny Kahn. Brian Anderson, its COO started his career with Columbia Beauty Supply where he assisted in building the company toward a $60million a year enterprise that was acquired in 2008 by L’Oreal. Kenny Kahn, the company’s CEO was honored by Harvard Business School for his business acumen and credited for the turn around and rebranding of Muzak. Kenny’s companies have been featured in numerous business news spot lights including articles in the New York Times, The Wall Street Journal and CNN. Level Beauty Group has launched a new brand called Beauty & Pin-Ups. It’s a luxury beauty and haircare brand targeted at young consumers with a unique and appealing retro brand design but ultra-modern feel. The company also has attracted A Class celebrity appeal, having former supermodel turned world famous lifestyle designer and trend setter Kathy Ireland as its Chief Creative Officer. 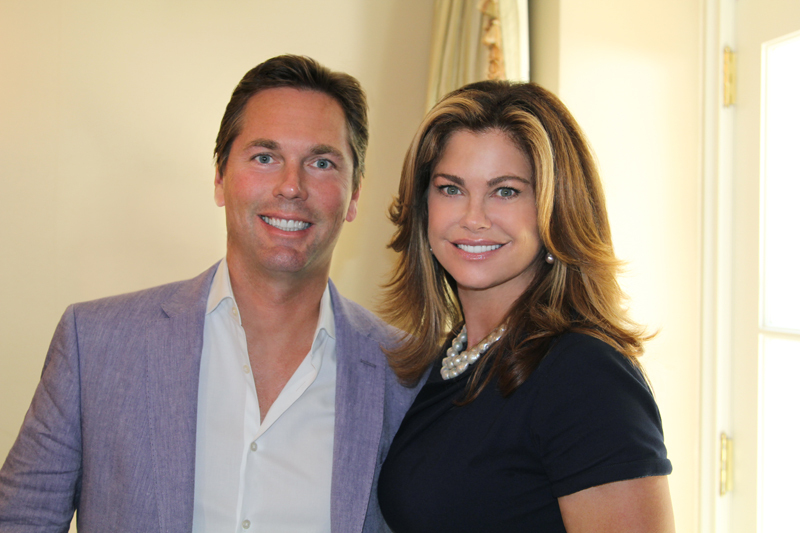 Kathy Ireland is the CEO of Kathy Ireland worldwide, a leading design and marketing firm that skillfully translates trends for all markets producing nearly $2.5 billion in retail sales.